Modern plumbing has come a long way from what it used to be. In fact, it’s OK to admit that most of us wouldn’t be able to cope like humans once used to without warm, running water and toilets with the ability to flush. But we have to pay our respects to the historical events that shaped the plumbing systems we see today — a few of which we’ll go over in today’s blog post. 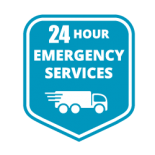 At Plumbing Solutions, our 24 hour plumber in Nashville offers high-quality emergency services to the local community. 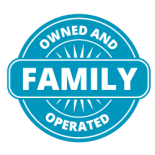 We also offer an array of other plumbing services, ranging from tankless water heater installation to everyday routine maintenance services. 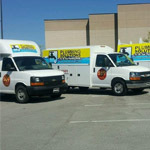 Need a reliable, Top Rated Local® plumbing team to work on the plumbing system in your home or office? 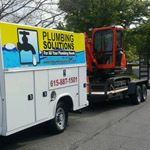 Call us today to receive a free consultation and plumbing quote. Below, we’ll provide you with a quick and easy timeline of the historical plumbing events that shaped today’s plumbing systems. 4,000 B.C. : The first signs of ancient plumbing systems date back to around this time period when archaeologists came across some copper water pipes in the Indus River Valley in India. Where were these pipes found? In palace ruins. 1500 B.C. : The first signs of the technology that allowed for storage of rainwater can be traced back to the island of Crete around this time period. Presumably, this stored rainwater was used for drinking, bathing and cooking uses. 500 B.C. to 455 A.D.: The Romans, who were some of the most advanced in regards to ancient plumbing systems, developed an array of plumbing “luxuries,” such as underground sewer systems, public and private baths, water piping systems and more. 1596: The first flushing water closet was invented by a man named Sir John Harington. 1728: The first underground sewer system was installed in New York to address the odorous smells of open sewers. 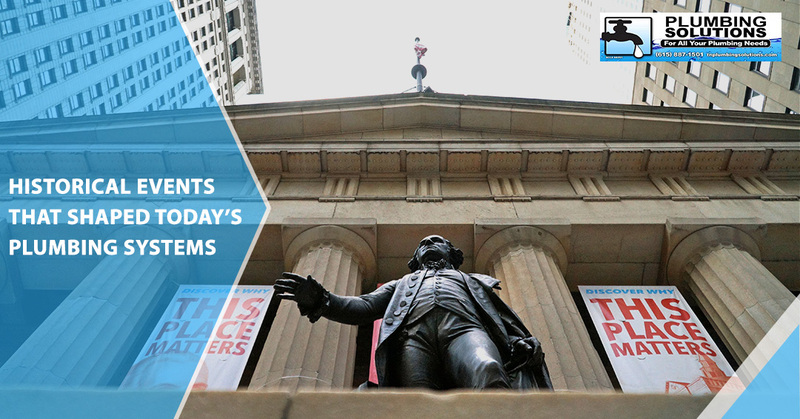 1830: The first public water main was install in New York. Between 1845 and 1850: Draining piping systems made their way into everyday buildings. 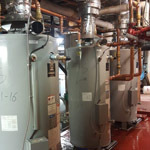 These systems were used to get rid of sewage from buildings into a disposal terminal. 1961: Legislation was passed (ADA) to ensure public restrooms were accessible to the physically handicapped. 1992: The most modern piece of legislation (Energy Policy Act of 1992) called to restrict water flow rates in modern plumbing fixtures. 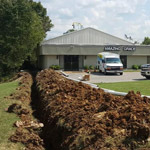 Unlike the old days, we no longer have to deal with our own plumbing issues. There are licensed and insured professionals out there who will deal with them for us! 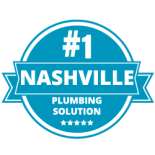 If you find yourself in the midst of a plumbing emergency and need the assistance of a 24 hour plumber in Nashville, feel free to reach out to our team at Plumbing Solutions as soon as you can. The longer you wait to fix a pertinent issue, the worse the issue will get — ultimately costing you more in plumbing repairs. Contact us today. You can reach us by calling (615) 823-7223, or for non-emergencies, you can fill out our online form.